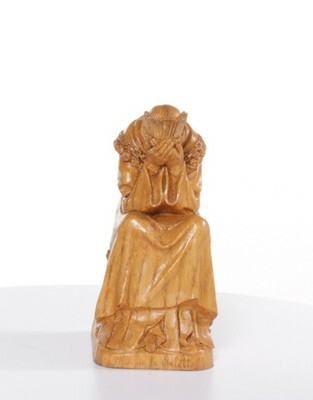 Cast resin statue of the Virgin Mary, who is depicted as weeping, which is how she appeared to two children in 1846 in the French Alps. U.S. and international copyright laws protect this library resource. Commercial use or distribution of the resource is not permitted without prior permission of the copyright holder. Please contact the Marian Library-International Marian Research Institute to inquire concerning available permission to use the library image.